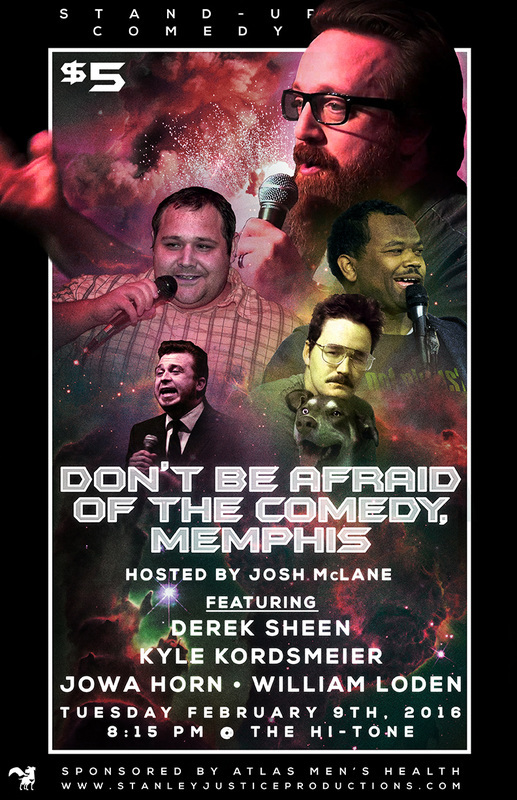 Hosted for the first two years by Josh McLane, The Don't Be Afraid Show is a stand-up comedy show we started at the Hi-Tone on Cleveland Street in Memphis, TN. Come check it out sometime! Or watch our videos from previous shows on YouTube! 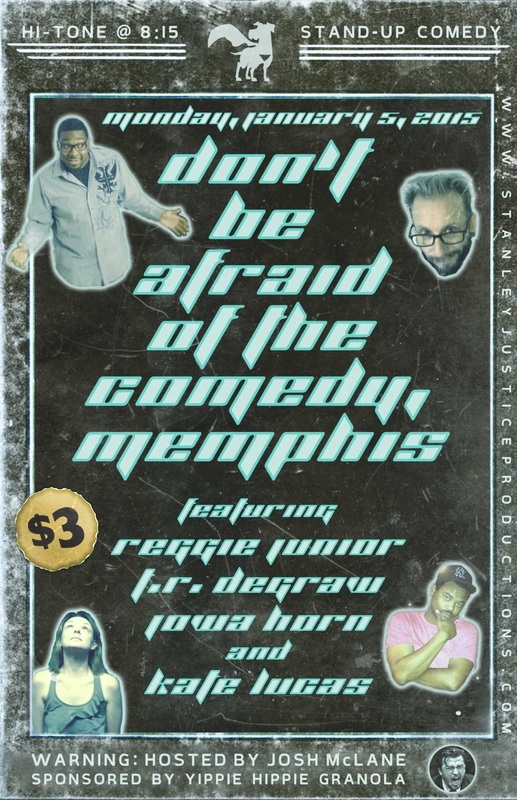 ITS THE 2ND BIRTHDAY OF THE DONT BE AFRAID SHOW!!!! This show will be recorded for an album. This show was when Josh passed the torch to the next host. It was also where we recorded the Don't Be Afraid of Memphis Comedy Album. 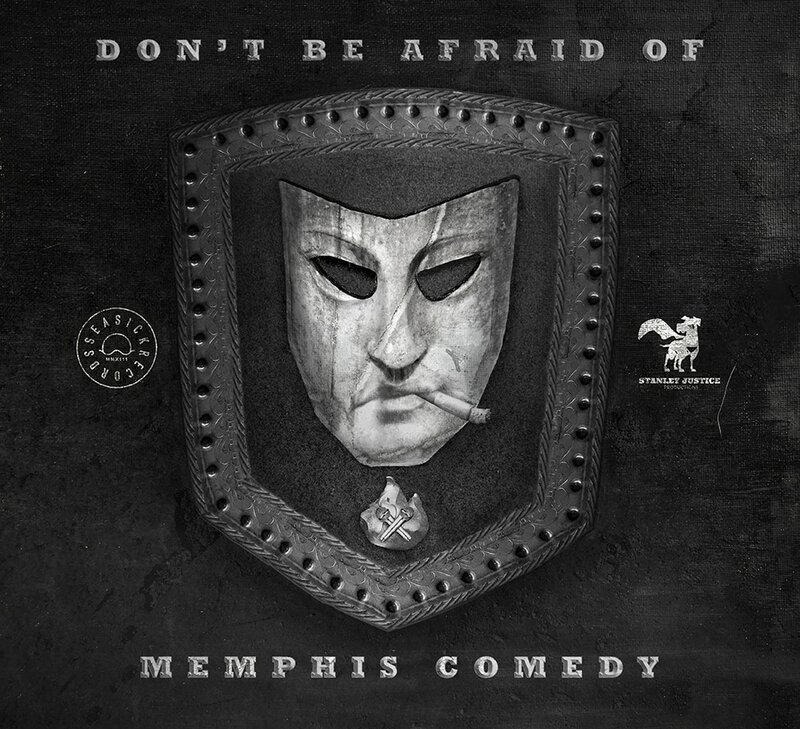 Don't Be Afraid of the Comedy Memphis is the longest running Memphis comedy showcase. 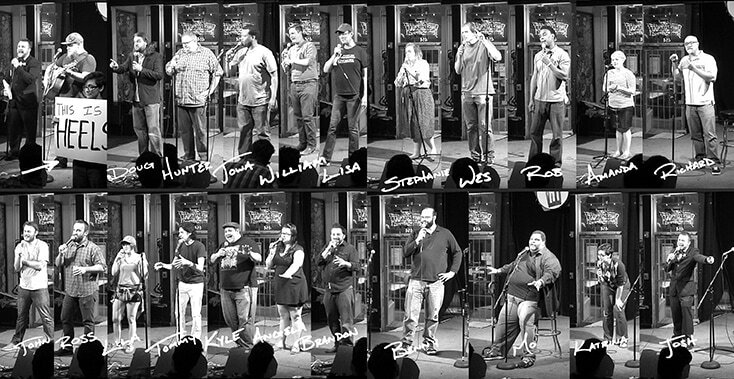 It's a show where comedians can come and do the material they want to do. 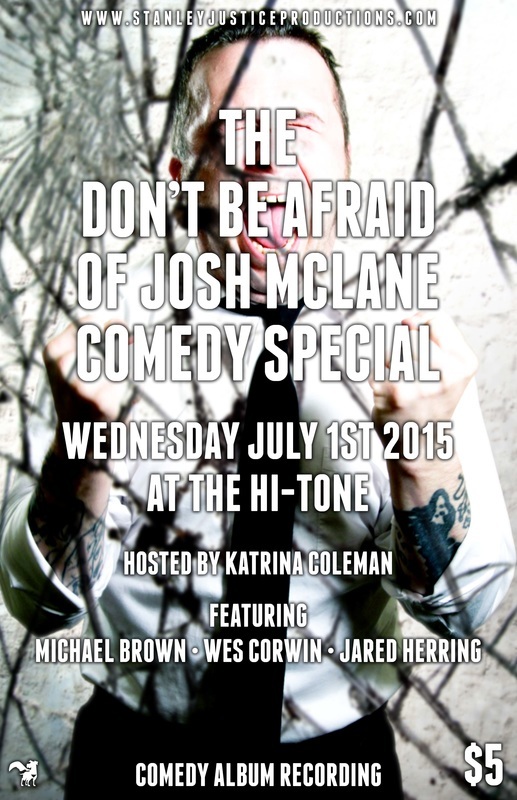 Hosted by Josh McLane. All Main Eventers line up. Reggie Junior : National touring comedian and part of the Memphis wrestling dynasty. and as always, the lovable and in improbable Jared Herring. 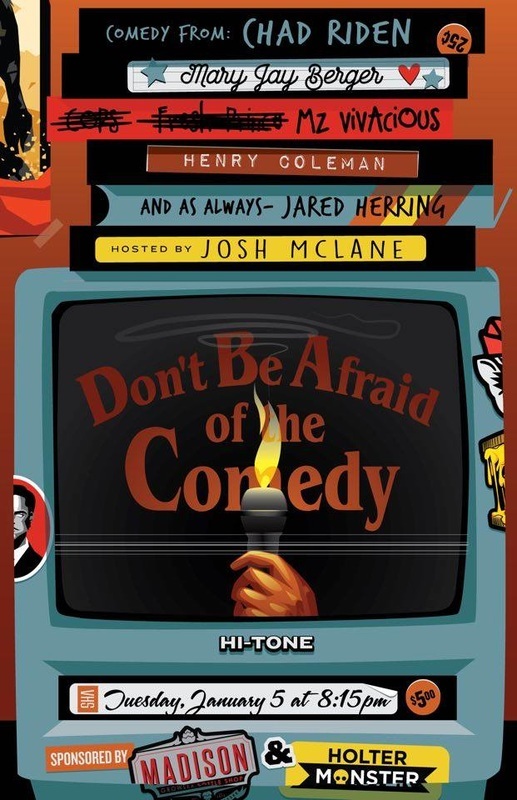 An evening of comedy hosted by Josh McLane featuring Standup Records recording comic Derek Sheen, co-host of the Tuesday Show Kyle Kordsmeier, host of The Best Damn Nerd Show Jowa Horn, and newcomer William Loden Jr. This months show sponsored by Atlas Men's Health. Chad Riden’s comedy is about his chaotic reality. Chad has weathered bankruptcy, divorce and foreclosure, launched a poultry farm, co-produced and headlined the Guinness World Records breaking #BrokenRecordShow, and made an unsuccessful run for mayor of Nashville. Riden tells self-incriminating stories that embarrass his daughter and make everybody else think he’s a weirdo. He lives in East Nashville with two flying squirrels and a turtle. Mary Jay Berger is an awful person (her mom says she’s sassy). You don’t believe it because she’s so attractive but she is truly terrible. She hates sharing and loves telling people that she’s a doctor. Mary is not a doctor, but she does know more about Harry Potter than Neil deGrasse Tyson knows about anything. Sponsored by our good friends MADISON GROWLER and special guest poster design by the amazing Holtermonster Designs!!! 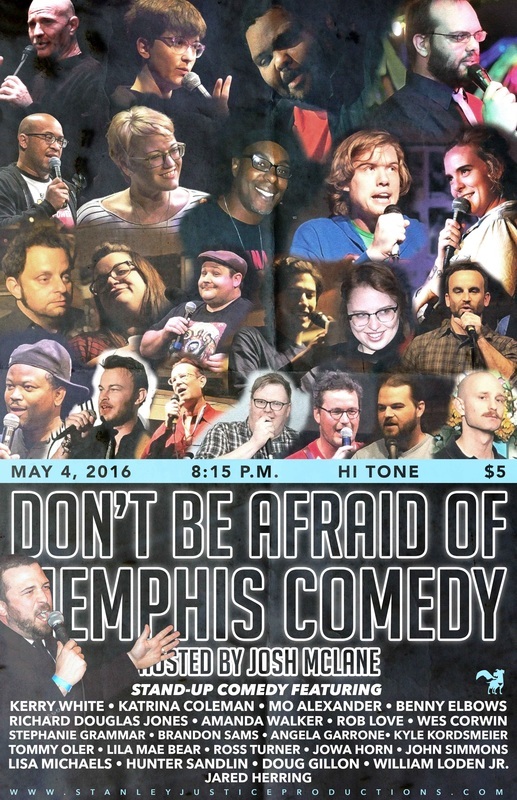 Ambrose Jones, touted by the Memphis Flyer as "one of the best Memphis Comedians" is hot off killing on LAST COMIC STANDING on NBC!!! He's a national touring badass for a reason. Jordan Jensen Jordan Jensen was born and raised in Ithaca, NY. After graduating with a degree in Philosophy, pursuing comedy seemed like a good choice. She began doing stand-up in the fall of 2014 in Buffalo, NY. A few months later she moved to Nashville, TN to be a part of that growing comedy scene and quickly became a local favorite. Jensen’s comedy focuses on calling herself out during anecdotes that range from social, to sexual, to the the daily nonsense that comes with being alive. 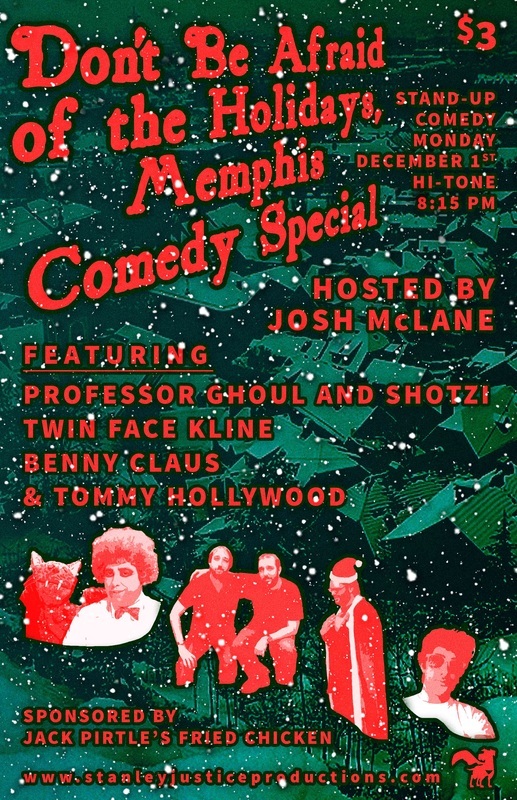 Tommy Oler is the host of the biggest open mic in Memphis and also the co-host of the overtly popular YouLookLike show with Katrina Coleman which is also a fantastic podcast on the OAM network. 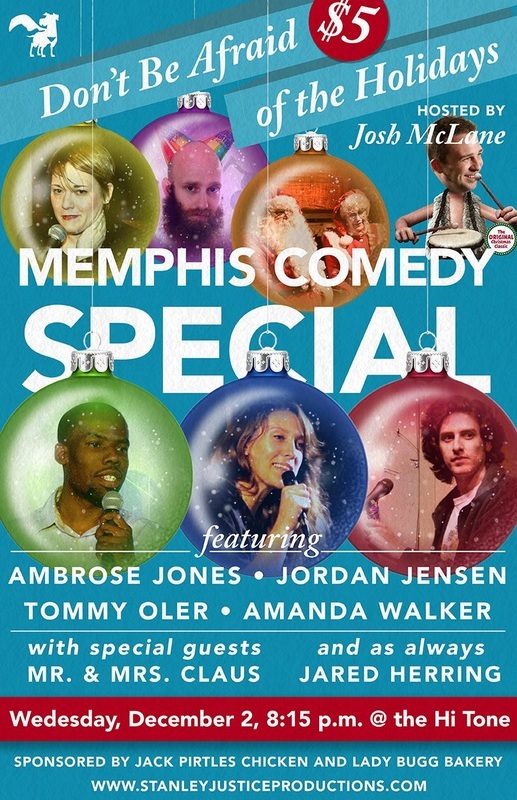 Amanda Walker is a new addition to the Memphis comedy scene and has proved she is not to be trifled with. She beat Richard Douglas Jones at the last You Look Like Show!! Mr & Mrs. Claus might be known as fictional characters but are very real and have decided to take a day off of preparing for Xmas to come visit. Jared Herring is the best of the best of the best, and is making his triumphant return!!! This month's show sponsored by Jack Pirtles Chicken and Lady Bugg Bakery. 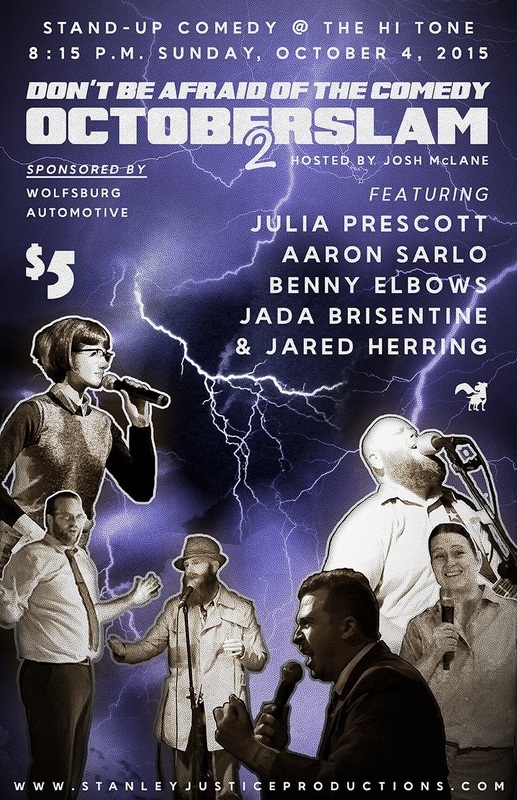 An evening of comedy hosted by Josh McLane featuring Julia Prescott, Aaron Sarlo, Benny Elbows, Jada Brisentine, and Jared Herring. This month's show is sponsored by Wolfsburg Automotive. 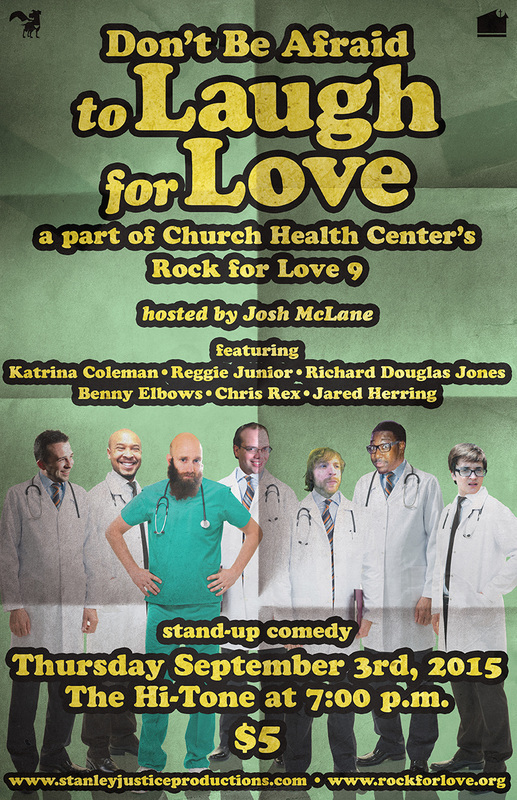 Don't Be Afraid to Laugh for Love will start this year's Rock for Love concert weekend. 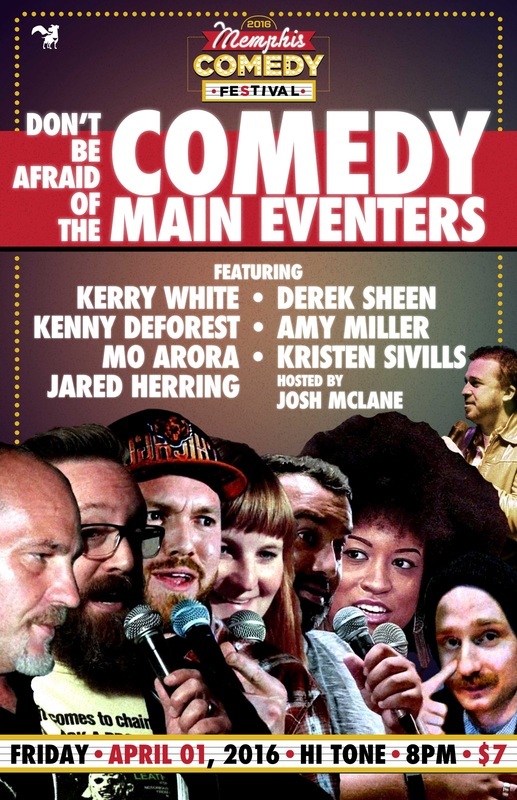 An evening of comedy, hosted by Josh McLane, featuring Katrina Coleman, Reggie Junior, Richard Douglas Jones, Benny Elbows, Chris Rex, and Jared Herring. Josh McLane is recording his first comedy album. 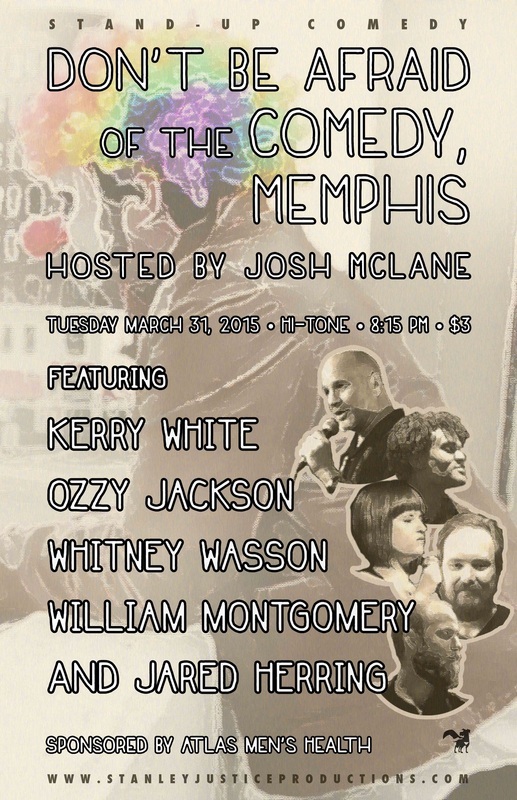 Join us for this event hosted by the Queen of Memphis Comedy, Katrina Coleman, Little Rock comedy legend Michael Brown, Austin's own Wes Corwin, and of course the man, the myth, the franchise...Jared Herring. 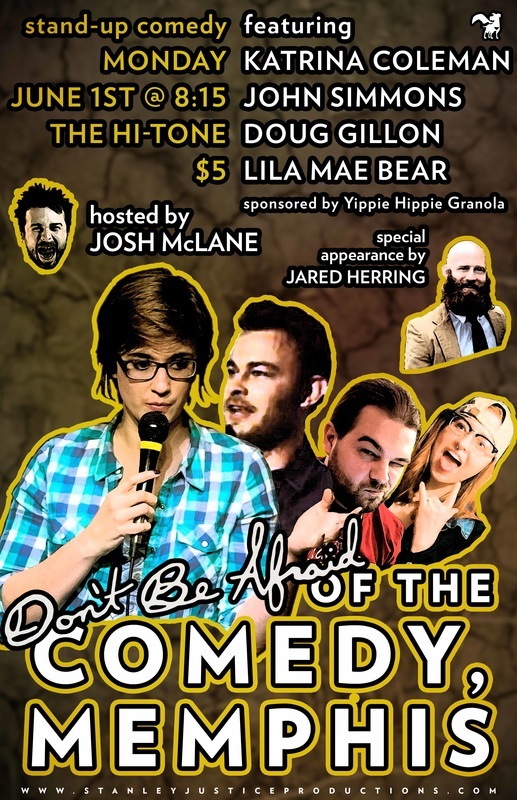 An evening of comedy hosted by Josh McLane featuring Katrina Coleman, John Simmons, Doug Gillon, Lila Mae Bear, and Jared Herring. This month's show sponsored by Yippie Hippie Granola. 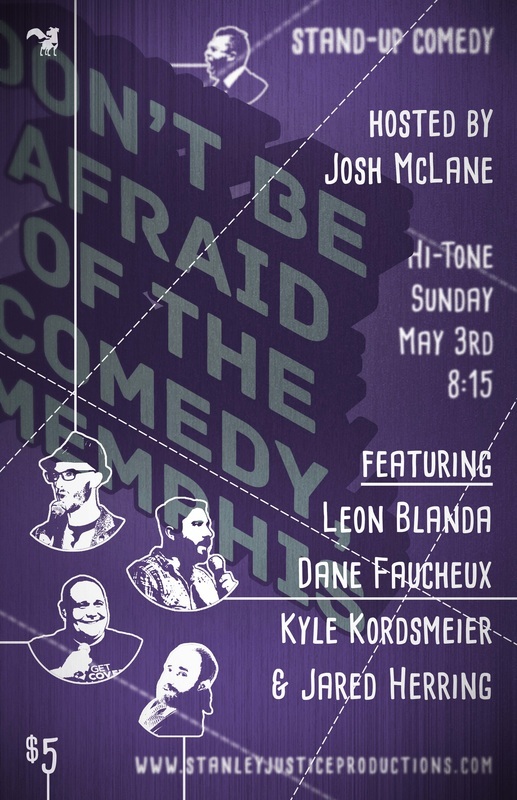 An evening of comedy hosted by Josh McLane featuring Leon Blanda, Dane Faucheux, Kyle Kordsmeier, & Jared Herring. Leon Blanda is a stand-up comedian from New Orleans. His self-reflective honesty and eagerness to perform “anywhere anyone will book me” has earned him feature spots in prestigious comedy clubs—such as, Caroline’s on Broadway (NY, NY)—and gross dumps—such as, some dude’s house somewhere in Alabama (? ?, AL). He has featured for stand-up heavyweights: Hannibal Buress, Kyle Kinane, Tom Segura, Darrell Hammond, Joe Derosa, and was the featured opener for Dave Ross on his last two US tours. You may, or may not, recognize him from his appearances in comedy festivals, Hell Yes Fest (New Orleans) and Trill Fest (Houston), or as a featured guest on the Nerdist Network’s popular podcast TERRIFIED with Dave Ross. Currently, he is the producer and host of two, weekly comedy shows at House of Blues New Orleans, and enjoys writing and performing comedy almost as much as he hates writing his own bios. Dane Faucheux is a New Orleans based comedian, has performed at festivals, theaters, and bars across the country. His performance as a stand-up comedian has been described as whimsical, smart, and odd, by a really nice older lady he met after a show in Minnesota. Dane is a former member of the sketch group Stupid Time Machine. Dane’s festival credits include, Fun Fun Fun Fest, Hell Yes Fest, Dallas Comedy Festival, The Megaphone Marathons, Chicago Sketch Festival, and San Francisco Sketchfest. Kyle Kordsmeier is a awesome and has hosted numerous shows around town. Jared Herring is and will always be our favorite guy if you've been to a DBA show before, you know what we mean. And Jared Herring (god amongst humans). This month's show is sponsored by Atlas Men's Health. 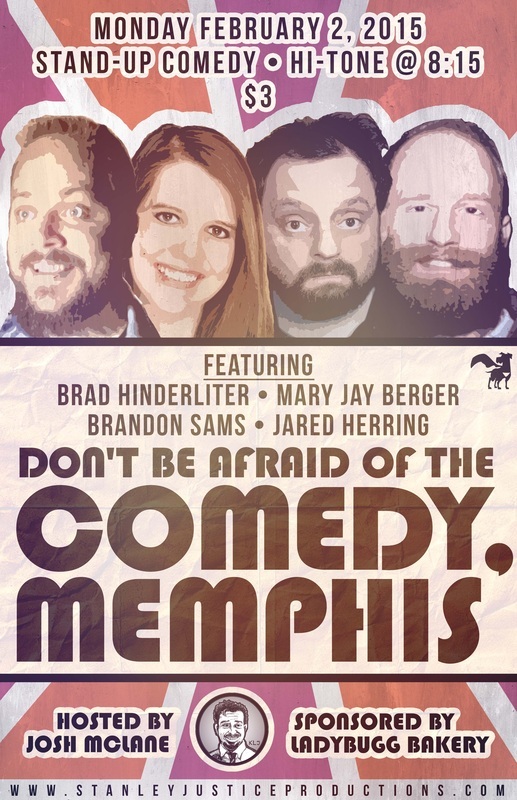 An evening of comedy hosted by Josh McLane featuring Brad Hinderliter, Mary Jay Berger, Brandon Sams, and Jared Herring. Brad Hinderliter is a headlining Nashville badass who has opened for everyone and never ceases to amaze. Come see him live before he blows the &%$# up this year. 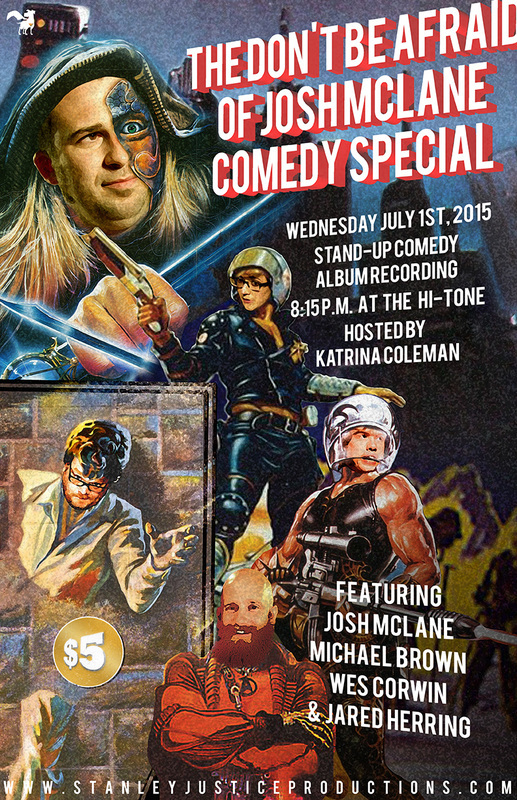 An evening of comedy hosted by Josh McLane featuring Reggie Junior, T. R. DeGraw, Jowa Horn, and Kate Lucas. This month's show was sponsored by Yippie Hippie Granola. IT'S TIME FOR SOME MANDATORY HOLIDAY CHEER!! This month's show is sponsored by Jack Pirtle's Fried Chicken so you know it's gonna be good. An evening of comedy hosted by Josh McLane featuring 20 year veteran and touring comedian Sammy Marten. The returning phenom that is Angela Garrone. 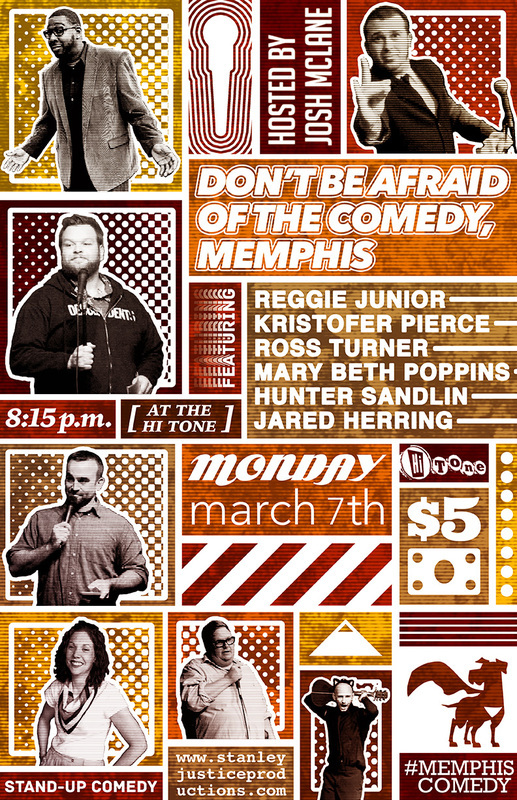 And arguably the next big thing out of Memphis comedy, Austin King and Jared Herring : the Jesters of Jartin. Including other special guests! This month we were next door to the Hi-Tone at the fabulous Co-Motion Studio. This month's show was sponsored by the Jesters of Jartin. 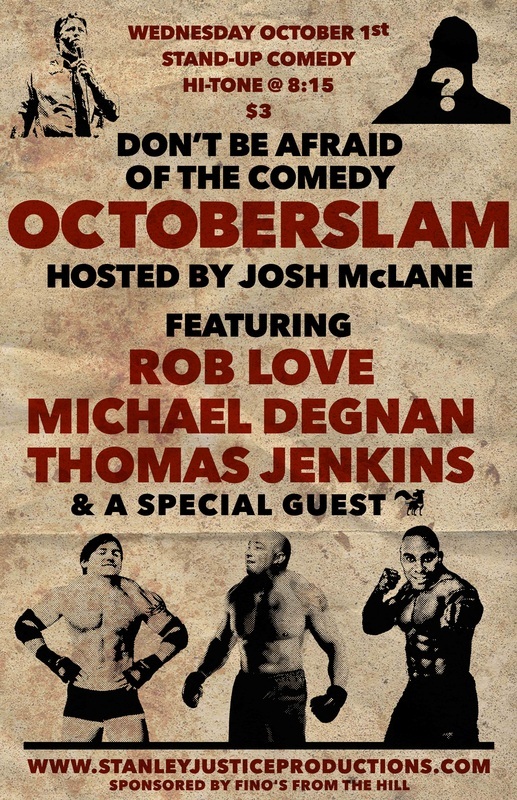 An evening of comedy hosted by Josh McLane featuring Rob Love, Michael Degnan, Thomas Jenkins, and a special guest! 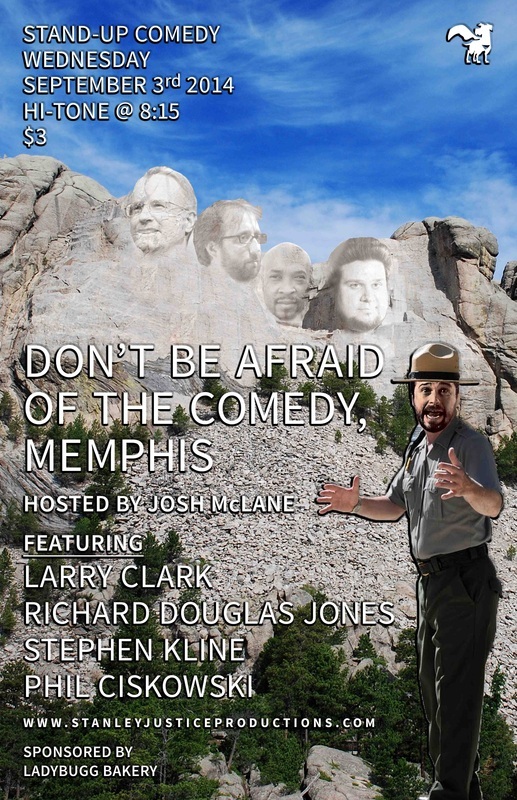 An evening of comedy hosted by Josh McLane featuring the amazing Magic and showmanship of Larry Clark, former Funniest person in Memphis winner and all around badass Richard Douglas Jones, the unpredictable but always hilarious Stephen Kline, and the CheeseSteak of Memphis Comedy Phil Ciskowski. The month's show was sponsored by The Ladybugg Bakery & Cafe. 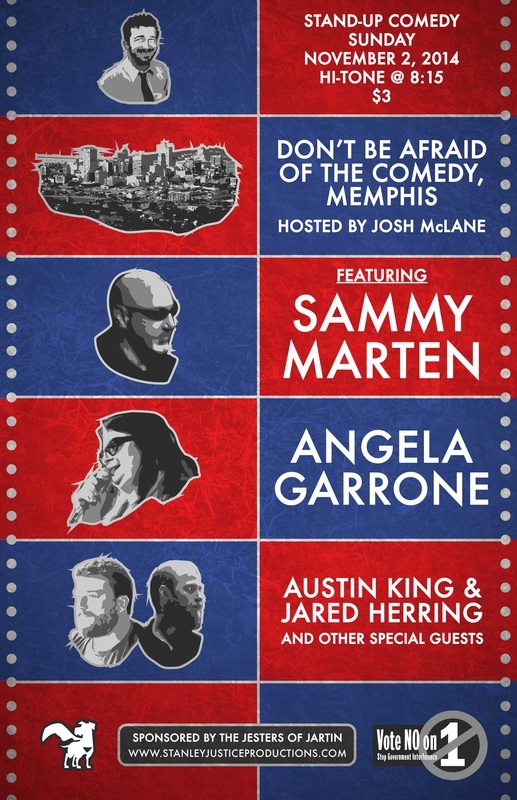 An evening of comedy hosted by Josh McLane: featuring Charlie Vergos; the always on, always hyped Alan Long; and from the "Our Daily Outrage: A Weekly Podcast," the forever awesome touring juggernaut, Michael Brown. Josh will be doing something special just for this show and there will probably be a guest appearance. 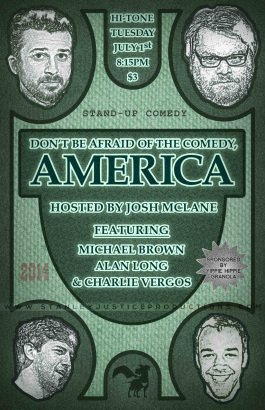 Come celebrate America the way it was intended... by laughing your @$$ off with us. 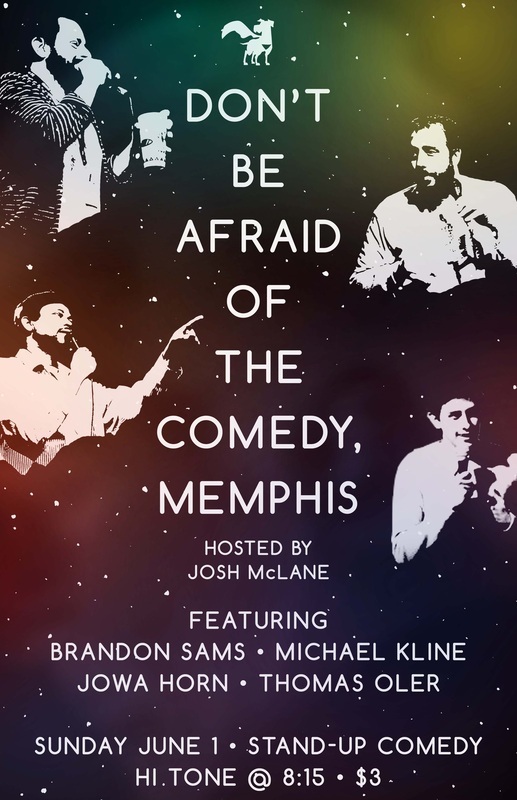 An evening of comedy hosted by the ever entertaining Josh McLane featuring some of Memphis' best and funniest ie: The Immortal Brandon Sams, The Incomparable Michael Kline , the Unmissable Jowa Horn, and The New Guy Thomas F. Oler. 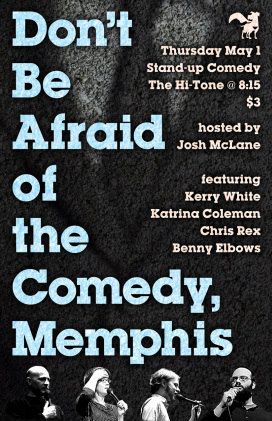 An evening of comedy hosted by Josh McLane featuring Kerry White, Katrina Coleman, Chris Rex, and Benny Elbows.